Keep Sabbath Holy: When is the day of worship in the bible? Keep Sabbath Holy–Today most of the Christians keep the Sunday worship. They go to the church and study the words of God in the bible on Sunday. Actually, what they do not know is that this practice is not from the bible. And neither is it a teaching of Jesus Christ. Through this topic, let us find out when the true worship day is and why it is important to us. Revelation 22:18 I warn every one who hears the words of the prophecy of this book: if any one adds to them, God will add to him the plagues described in this book, 19 and if any one takes away from the words of the book of this prophecy, God will take away his share in the tree of life and in the holy city, which are described in this book. In this verse God strictly warn us not to change the words of God in any way. We should not either add or subtract to the words of God in the bible. Rather we must consider the words of God to be absolute. And we must follow the words of God without adding our opinions to it. Keep Sabbath Holy–Some might dismiss this idea thinking it to be too much legalistic. But let me give you an example through the regulations of this world. Why do we have traffic laws? It is because of our benefit. When we break them, we can be in serious trouble. Therefore, for our benefit we have to keep the laws of this world. It is the same with the Sabbath. We keep the law of Sabbath for our benefit, not for God. Whether we keep the Sabbath or not does not make any difference to God. It is not important to God in the sense that the Sabbath keeping does not affect God in any way. However, it is important to us to keep the Sabbath day. Sabbath means the day of rest and through this day God promised a lot of blessings to whoever keeps the Sabbath. The Fourth Commandment: Remember the Sabbath By Keeping it Holy. Keep Sabbath Holy–First, let us find out the origin of the Sabbath through the bible. The first chapter of the Book of Genesis describes the Six-Day Creation. God created all the things from the first day to sixth day. And on the seventh day he took a rest after the completion of the creation work. Genesis 2:1 Thus the heavens and the earth were finished, and all the host of them. 2 And on the seventh day God finished his work which he had done, and he rested on the seventh day from all his work which he had done. 3 So God blessed the seventh day and hallowed it, because on it God rested from all his work which he had done in creation. To commemorate this creation work, God commanded the Israelites to keep the Sabbath. 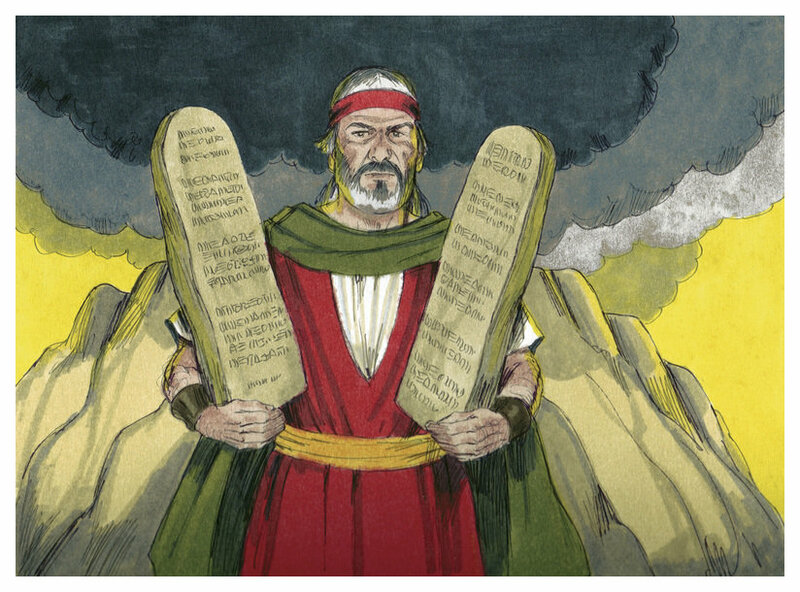 And he recorded this command as one of the Ten Commandments in the time of Moses. Exodus 20:8 “Remember the Sabbath day by keeping it holy. 9 Six days you shall labor and do all your work, 10 but the seventh day is a sabbath to the Lord your God. On it you shall not do any work, neither you, nor your son or daughter, nor your male or female servant, nor your animals, nor any foreigner residing in your towns. 11 For in six days the Lord made the heavens and the earth, the sea, and all that is in them, but he rested on the seventh day. Therefore the Lord blessed the Sabbath day and made it holy. Keep Sabbath Holy–God commanded to keep the Sabbath and promised so much blessing to people who keep the Sabbath day. Then let us find out when the true biblical Sabbath day is. The bible says that “the seventh day is a Sabbath”. Then when is the seventh day? First, let us look at the calendar. In the calendar the seventh day is the Saturday, not Sunday. Sunday is the first day of the week. Also, we can confirm this through the dictionary. In a dictionary, Sunday is defined as “the first day of the week”. (Collins English Dictionary) On the other hand, the Saturday is defined as “the seventh and last day of the week”. More importantly, we can confirm this through the bible too. Christians celebrate the Day of Resurrection to commemorate Jesus’ resurrection from the dead. This Resurrection Day falls always on Sunday because Jesus resurrected on Sunday. Through this Resurrection Day we can also find out the biblical Sabbath. The bible says that after the Sabbath Jesus resurrected early on the first day (Sunday) right after sunrise. Therefore, the true Sabbath Day is the day before the first day (Sunday), that is, Saturday. Keep Sabbath Holy–Actually, the Sunday worship started from the Catholic Church in the time of Emperor Constantine in 321 AD. At that time Constantine proclaimed Sunday as the day of rest (or Sabbath day) through the Edict of Milan. This custom became consolidated through the long period of the Dark Age when the Catholic Church changed the laws of God into the man’s custom. Some of the books from the Catholic Church clearly testify that the Sunday worship originated from the Catholic Church, not from the bible. They even blatantly announce that their teaching does not come from the bible. It sounds like that they are even proud of changing the day of worship into Sunday. As we have already seen in the Revelation, God clearly warned people not to change the words of God by adding or subtracting. This entry was posted in Teachings Of Christ Ahnsahnghong and tagged Biblical Sabbath Saturday, Blessings of Sabbath, Edict of Milan, Emperor Constantine, Fourth Commandment, Keep the Sabbath Holy, Roman Catholic Church, Sabbath Day, Sabbath Day Saturday, Sunday or Saturday, Ten Commandments, The Faith of Millions, The Faith of Our Fathers, True Sabbath Day. Bookmark the permalink. Only the worship offered to God on Saturday becomes holy cuz God chose Saturday (7thday) in order to make it holy! This is everlasting covenant! The Sabbath day is a sign between God and God’s people. By keeping the Sabbath day, we can be recognized as God’s people. Jesus set an example by keeping the Sabbath day. In this age, the World Mission Society Church of God keeps the Sabbath day according to the Bible. We can realise that The Sabbath day is the sign between God and us by which we will go back to the heaven. God’s children love his commandments. Those who keep the commandments can understand God’s will and be blessed. So how long worshiped on sunday? How long worshiped on sunday? Let’s see. . . about 1697years. Who can remember the sabbath? If Bible was burned all, who now know the truth. many people know the 10 commandment easily. but don’t care of it. when they need to use one of them. they take out anything. but never want to obey or follow the ten commandment. then. why God made those regulations for God’s people? yes, God wanted us to keep those. not just rememberance. among them. What about Sabbath? that is also the most important orde from God for us to be holy. the Seventh day is now Saturday. How? we have thought and acted wrong. we need to change right away if we realized what day the true worship day is. lets do it from now on. with a brave heart! The sheep of God hears the word of God. God’s children have to keep the Sabbath. The day when we give service to God is Saturday, that is, the seventh day sabbath. God has promised that we will be blessed when we keep the sabbath. The Bible also clearly testifies that the Sabbath that we have to remember and keep is not Sunday, the first day of the week, but Saturday, the last day of the week. Those who eagerly want to enter the kingdom of heaven of eternal rest must try to remember the Sabbath, the 7th day of the week, Saturday, and keep it holy in obedience to God’s command. Sabbath is what Jesus and His disciples showed us to keep it by practicing themselves. It is NOT the one that only belongs to the Old Testament times. Through this article, I can easily understand that worship on Sunday is not from the bible at all. Rather, we should keep the Sabbath holy. Thank you!! Sabbath day is the day of the creator. Give us rest both physically and spiritually. If we believe in God, we must act according to God’s Word. To do so, we must know the Bible correctly. Christ Ahnsahonghong informed us of the Sabbath to save us. Thanks to God for blessing us to keep the holy Sabbath! The worship day is the Sabbath day, not Sunday. We can exactly know it through the Bible. Though almost christians worship on Sunday, but if it is not from the Bible then we must not follow it. Those who eagerly want to be saved have to keep the Sabbath day according to the teachings of the Bible. We can not imageine how important Sabbath is. God put sabbath into the ten commendments as the 4th commendment. It means we must keep the sabbath with holy heart. So if you are children of God then keep it. We we keep Sabbath day according to the bible, we can meet God and it it a sign that we are children of God. But almost Christians misunderstand Sabbath day is abolished or Sabbath day is Sunday. If we want to recieve the blessing of God, we should remember and keep the day God has appointed to bless us. The worship day God promised to give a blessing is the Sabbath, Saturday. Not sunday. Biblically, in church history, the Sabbath is definitely Saturday. So when did Sunday service start? It is easy to know the origin of Sabbath and Sunday worship. God’s people must keep God’s command. It is amazing that people who claim to believe in God follows what is not from God and the bible and boast about the lawlessness they are practicing. The Sabbath we should observe today is not the Sabbath of the Old Testament but the Sabbath of the New covenant which Jesus established and kept. The Resurrection Day once a year and the Sabbath which is given every other week are totally different in meanings and dates. We must both keep the Bible. God’s salvation does not depend on the number or power of the church. A good example is the situation of the Early Church 2000 years ago. Although there are few churches today that keep the Sabbath day, God wants his people to keep his law. Let us look at the worship day based on God’s standard, the Bible alone.